The lawyers at Mullowney’s Law represent clients who have suffered a brain injury through no fault of their own. At Mullowney’s, we are Ottawa brain injury lawyers with extensive experience representing those who have suffered brain injuries as a result of malpractice, automobile accidents, and slip and fall incidents. We are intimately familiar with the applicable laws and medicine which relate to brain injuries and we fight tirelessly to recover every dollar we can for our clients. If you or a loved one have suffered a brain injury, please contact Mullowney’s today at (613) 670-5736 or [email protected] to discuss your legal options. Representing clients who have suffered brain injuries is not a simple task. Instead, these are among the most difficult personal injury cases to litigate because the medical and legal issues involved can be so complicated. 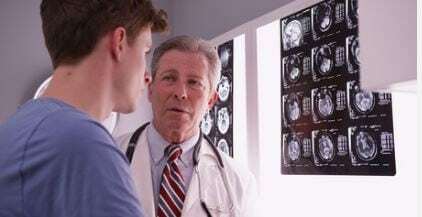 Working on these types of cases involves not only mastering the medical details of our clients’ conditions by digging deep into each client’s medical records, but also working with medical experts who can illuminate for us the neurological, cognitive or other impairments which our brain injured clients are suffering from as a result of their injury. Therefore, representing clients who have suffered brain injuries is an art that can only be developed through years of working with such cases. 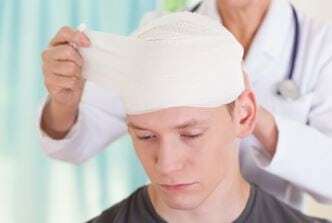 Not every lawyer understands the intricacies of these types of cases; it is therefore imperative that you hire a lawyer who understands brain injury cases in order to represent you or a loved one in connection with such a case. If you choose the lawyers of Mullowney’s to represent you in connection with your brain injury claim, you can rest assured that we have the expertise and experience to maximize your recovery. Under Canadian law, a personal injury claimant who has suffered a brain injury has two years after suffering the brain injury within which to file a lawsuit seeking compensation. In Canada, the damages recoverable by someone who has suffered a brain injury include past and future medical costs, past, present and future loss of income, any out of pocket expenses the victim has had to incur as a result of his or her brain injury, as well as pain and suffering. Any award for pain and suffering is capped as a result of several court decisions. However, damages for future loss of income and other items are not capped and can be quite significant. At Mullowney’s, we always seek to recover maximum damages for our brain injured clients and we will fight relentlessly and use every legal tool at our disposal to ensure you a maximum recovery for your brain injury. At Mullowney’s, our approach to brain injury cases is different than most other lawyers and law firms. The first thing we do is speak with our client and their loved ones utilizing in-depth interviews (to the extent our client is able to do so based on their cognitive status). Next, we gather all of our client’s medical records and speak with medical experts, if necessary, to understand our client’s brain injury, and its effects on our client, before we ever make contact with the party that may have caused the brain injury. That way, if the opposing party immediately wants to begin negotiations, we have an informational advantage because we have all of the pertinent information and evidence at our fingertips. However, if the party that is responsible for our client’s brain injury does not want to negotiate, the experienced brain injury lawyers at Mullowney’s are willing and able to file a lawsuit and fight all the way through to the end of a trial to obtain a maximum recovery for our clients. You can rest assured that if you choose Mullowney’s to represent you in connection with a brain injury, we will not take the first settlement offer that comes along. We value every case objectively and will be candid with you as to whether a settlement offer is in your best interests or not. Therefore, and unlike some lawyers or law firms, we will not encourage you to accept just any settlement offer but instead will only recommend that you accept a settlement if it is your best interests and we believe it fairly compensates you for your losses as a result of your brain injury. The brain injury attorneys at Mullowney’s have extensive experience representing those who have suffered a brain injury in a variety of different circumstances, including malpractice, slip and fall accidents, as well as automobile accidents. We are aggressive lawyers who will fight hard for you to recover every aspect of your compensation. We are always willing to use every legal tool at our disposal to better represent our clients. The experienced brain injury lawyers of Mullowney’s can be contacted at (613) 670-5736 or [email protected] and are available to speak with you now if you or a loved one has suffered a brain injury and have questions regarding your legal rights.